Visitors to Anchorage are awed by the gorgeous scenery in an area of the state that borders the Chugach State Park. The largest city in the state of Alaska, Anchorage has over 300,000 residents and is also known for its exciting history. The Alaska Native Heritage Center draws guests from all over the world to view the beauty of the Native American culture. 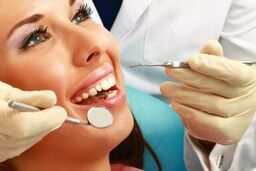 If you have a dental emergency while visiting Anchorage, there are plenty of excellent holistic dental offices available for your prompt treatment. The Emergencydentistsusa.com website is a great location to find that holistic dentist that you have been searching for to tackle your dental problem. Our convenient website provides you with all of the information that you need to find the right dentist, learn about office hours and services, and even set up the first appointment. Just scroll through our`hand-selected list of Anchorage dentists and click on the dental office that provides the services that you need now. The toll-free dentist finder hotline makes finding a great Anchorage holistic dentist a breeze, even when you do not have access to the internet. Just call our 24-hour hotline and speak with a friendly agent who is waiting to help you select a dentist, set up your appointment, and to offer you driving directions if necessary. Remember to bring your dental insurance card, your photo ID, and your dental insurance copayment with you to visit your new dentist. Arrive early to fill out the new patient paperwork and ask any questions that you might have for your new dentist. The city of Anchorage has some chilly winter temperatures, but your prospects of finding a great holistic dentist are hot. Scroll down to find our top three holistic dentists in the city of Anchorage. Description: A truly family oriented dental office, Anchorage Midtown Dental Center is family friendly and offers biocompatible dental materials to encourage whole body health. Convenient office hours and a caring staff make visiting this dental office a pleasant experience regardless of your dental problem. IV sedation, implants, and emergency dentistry are all available at Anchorage Midtown Dental Center. Description: At Health Centered Dentistry, your whole body health is a priority. Tooth-colored fillings, sleep apnea treatment, TMJ treatment, and even oral surgery are available to patients at this Anchorage holistic dental office. A caring staff and access to sedation services mean that Health Centered Dentistry provides you with all of the resources that you need to feel safe, cared for, and comfortable during your procedures. Description: With personal attention and care that you deserve, Mint Dental is a favorite among Anchorage dental offices. This clinic provides patients with cosmetic services, restorative care, and general dentistry along with same day appointments and walk-in care. Using biocompatible materials and offering a large range of services, Mint Dental is a full-service clinic. A holistic dentist works hard to encourage whole body health. When you choose a holistic dentist it does not mean that you have to begin your dental journey all over again. This simply means that you are more concerned with your overall health and more interested in what types of materials are used in your body. A holistic dentist chooses biocompatible materials to ensure that your overall health is not impacted by metals like mercury. Items like porcelain crowns and low radiation x-rays are all offered by holistic dental offices. Visit the Alaska Dental Association website to check your new holistic dentist’s current licensing and credentials. This is always an important step when selecting a new dentist because you want to be positive that your dentist is licensed for your state. You can enter the dentist’s name in the search box and view any licensing information provided by the Alaska Dental Association. This information can also be obtained by visiting the holistic dental office and speaking with the receptionist.